Welcome to Plaza Urology Group. Our physicians and staff are dedicated to offering you the best in quality urologic care. 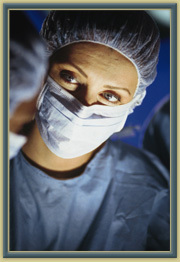 Our physicians are qualified to care for adult patients only. We do not care for children in our practice. Our office hours are Monday through Thursday 8:00 a.m. to 5:00 p.m. and Friday 8:00 a.m. to 4:00 p.m. All times are Eastern Time Zone. Appointments can be made by calling (423) 756-7860 during office hours.